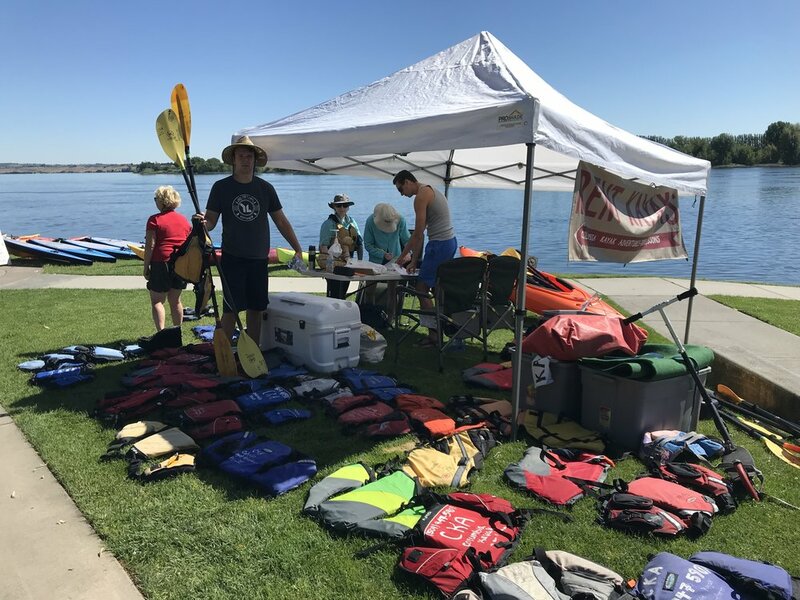 All rentals include: life jacket, paddle, floaties for your sunglasses, sunblock, bottle of water, dry bag for your cell phone and dry bag for your goodies, we carry the boats to and from the water, basic instruction and direction. Columbia Kayak Adventures hosts multiple guided tours during the summer. Please see the details below and call to make your reservations. Predicted wind direction and speed can lead to a cancelled tour. The journey starts at Vernita Bridge below Priest Rapids Dam and travels through numerous islands along the White Bluffs of the Hanford Reach. History is dramatic on the river's south where you see preserved and active structures of the Hanford Nuclear Reservation, while you pass a pristine area of 300-foot high cliffs that harbor cliff swallows, deer, pelican and hawks on the opposite bank. *More tours available upon request, groups of 8 or more required for this tour. Call us today to schedule your groups tour or call to reserve a spot on one of our listed tours above. All tours are subject to be cancelled for weather or occupancy. Enjoy a new view of the Yakima and Columbia Rivers! This tour goes from Bateman Island through the hidden areas of the Yakima Delta, exploring narrow waterways and islands. Look for great blue heron, red tail hawks, bullock orioles, pelican, beaver, deer and a local osprey nest; all from the level of the water. Tour available upon request, please call and schedule. If you have a smaller group we can try and schedule you with another group, so please call us as soon as you can. The river is a different place at night; magical almost, as you paddle under a full moon. Launch in North Richland, and with a relaxed pace we travel around to the east side of the islands where city lights are minimal. Enjoy floating downriver as you absorb the sounds of the water and wildlife, then return along the shore under the moon light. Head mounted flashlights, glow sticks and snacks included. Located at the Tri-City Court Club pool, our ACA certified guides will teach you the necessary skills to rescue yourself and those around you in a safe and comfortable environment. When you master the various rescue techniques you will progress into rolls class. Without the worry of open water and with the assistance of our guides years of experience you can practice and refine your rolling skills. TBD - Dates coming soon, expected schedule by July 4th. This quick introduction to flat-water kayaking will get you started right! Learn basic boat handling skills, including launch and landing techniques, the elements of a proper forward stroke, and turning. Rescues are demonstrated and you're invited to practice solo or assisted rescues, but participation is not required. Local paddle destinations, equipment preferences, proper clothing and boat design/performance are all discussed. This class is available upon request, groups of 4+ call and schedule today! Pat Welle started Columbia Kayak Adventures in 2004 to introduce and promote sea kayaking to the Columbia Basin. Located in the Tri-Cities, we enjoy warmer and somewhat more predictable weather than our western counterparts. These favorable conditions allow us to paddle the currents of the Columbia River, discover wildlife on nearby islands, and marvel at the beauty and contrast provided by the White Bluffs of the Hanford Reach across the river from the Hanford Nuclear Reservation. When Pat Welle moved on Chris and Dorothy Vowels purchased the business. After 25+ years Chris retired from the Richland Police Department to begin a new career and purchase a business that came with a great group of guides and instructors who had the goal of continuing to introduce and promote sea kayaking in the Columbia Basin. With Chris passing away last fall after a lengthy battle with Aplastic Anemia, John and Julia Dudley decided to continue the vision of Sea Kayaking and stand-up paddle boarding on the Columbia River and surrounding areas. Unfortunately we did have to make the tough decision to close the retail shop; however, we will continue to offer the same great rentals we always have. 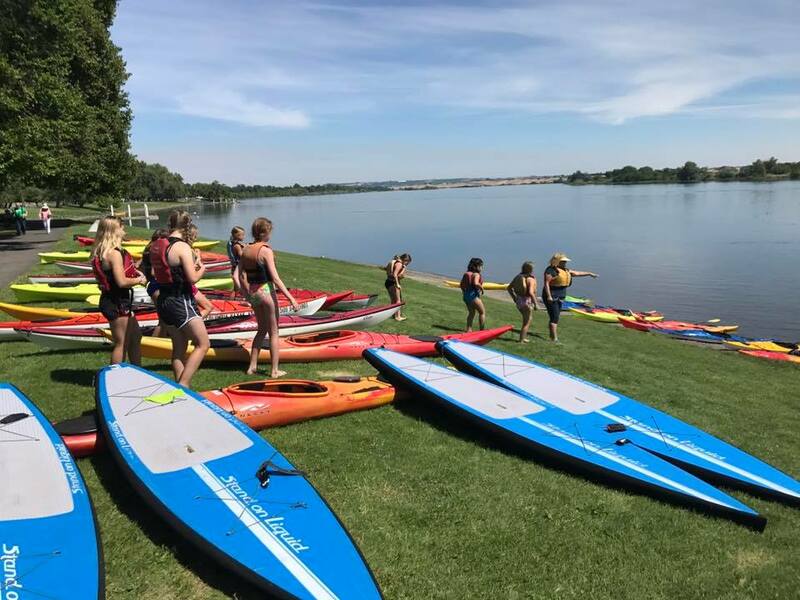 We will also continue to offer instructional classes, tours, and various Kayak and SUP equipment needs directly from the beach at Howard Amon Park. Sea kayaking allows almost anyone to enjoy being on the water. 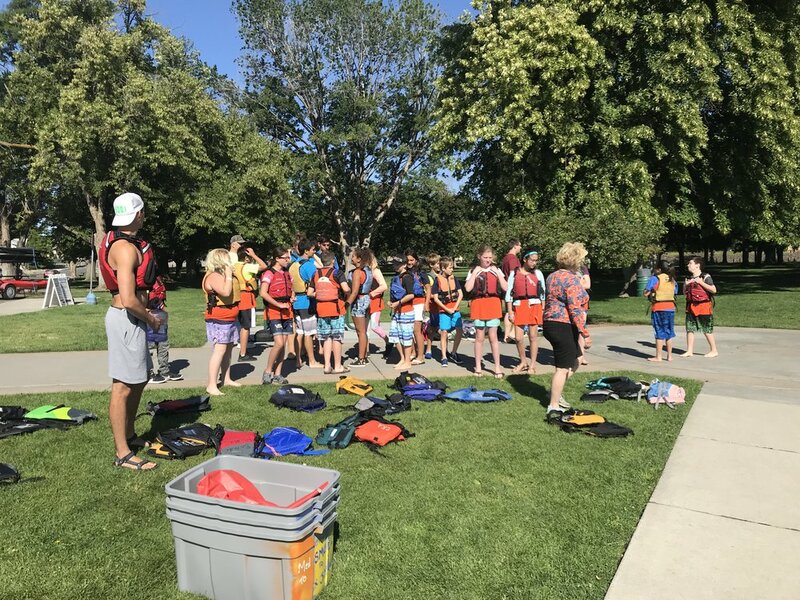 CKA’s mission is to give our clients the knowledge and skills to safely paddle and build upon their kayaking experiences; whether they want to spend a quiet morning in the protected waters of the Yakima Delta, or spend a week camping from their boat exploring the many miles of inland lakes. Most of all, CKA is about having fun while learning a new skill and seeing new places.